Integrated solar PV provider SolFit is to supply its in-roof PV system for 166 new-build homes as part of a new contract win. Solarcrown Commercial is to install solar on the roofs of 166 homes to be built by Countryside Properties, starting in January, and the installer has turned to SolFit’s integrated system ahead of its traditional solution. Solarcrown commercial director Steve Scully said the system was the easiest in-roof system the firm had worked with and had “drastically reduced” its labour costs and time on site. “To win our first large scale multiple house project is of huge importance to gaining traction in the multiple house and modular home market. We know how developers are always watching what the other companies are doing and no one wants to be the first to jump,” Ewen Estill, managing director at SolFit, said. The new contracts comes right off the back of the firm celebrating the maiden install of its commercial-over-clad system, completed last month. The system was installed on an industrial building which needed the roof to be overclad, with the panels used alongside SolFit’s roof integrated PV framing system to effectively become the cladding. As a result, the solution can increase EPC ratings for commercial buildings by boosting their energy saving properties, a feat which SolFit said was “notoriously hard” to achieve. 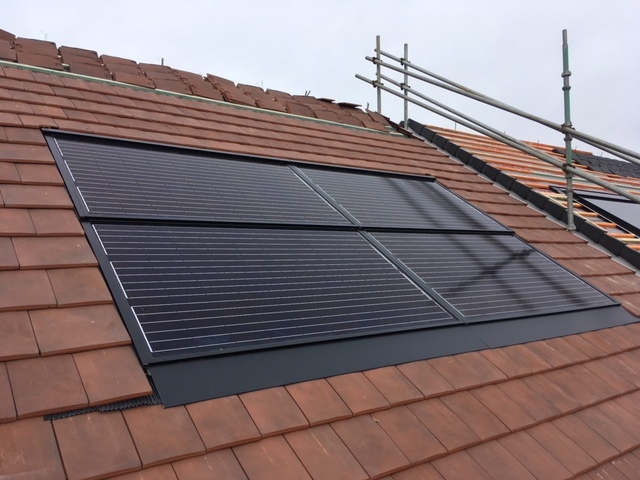 The install was conducted in Farnborough by Solar Advanced Systems and project managed by Syzygy Renewables, the latter of which said the company was pleased with the project’s results.